Fully Equipped to Help Keep You and Your Family Safe. 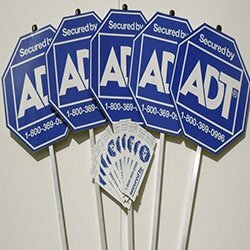 ADT understands that customers not only expect a security system to be reliable, but for the equipment to fit seamlessly into their homes. That’s why the ADT Monitored Wireless Security System is such a popular choice. It provides dependable security and comes with durable, easy-to-use equipment. 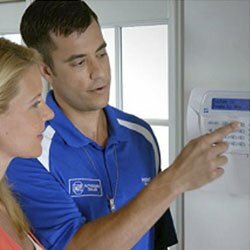 SafeStreetsUSA – ADT Authorized Dealer offers a complete monitored security system for $0* to new customers (Valued at $850) with a $99 installation charge and alarm monitoring agreement. ADT is known for their quality and dependability in monitoring security systems. For a free quote, simply call or fill out our “Get a Free Quote” form and one of our trained security professionals will call you. You’re just one touch away from fire, medical and police dispatch with the Security Digital Keypad. Just have your installer program it for one-touch access. He or she can show you how to use it while they’re there. Your wireless home alarm system is always at your fingertips with this key-chain remote. 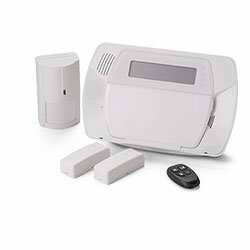 Arm or disarm your system from almost any room in your home. ADT’s protection brings greater peace of mind. 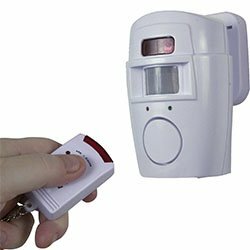 The infrared interior motion detector adds another level of protection to your home alarm system. It can also be programmed to let your pet roam freely inside without triggering the alarm. Easily expandable system provides more areas of protection. Audible sound alerts you when protected doors are opened. 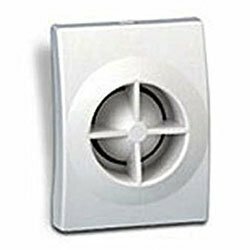 The noise is sometimes enough to scare away intruders, and can alert your whole family. The siren on your ADT monitored home security system is loud enough to help scare intruders away and help notify you (or neighbors) of an emergency. 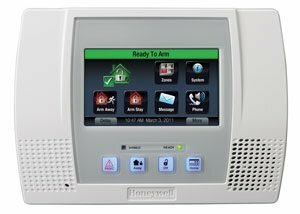 A certified installer will quickly and easily install your alarm and answer any questions you may have about your new home alarm system. 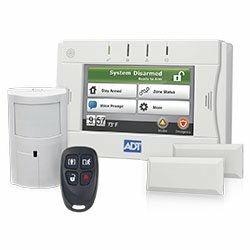 The ADT Monitored Wireless Security System helps protect your home through the use of a state-of-the-art, 4-center network. This offers a level of protection that can’t be matched by other companies. The decision to purchase a wireless home alarm system shouldn’t be taken lightly, that’s why ADT makes customer education and satisfaction a priority. The more you know, the better choices you’ll make about your family’s security. With an ADT monitored wireless system, you’re getting the best home security money can buy. The ADT monitored system comes armed with 3 points of protection for windows and doors, an infrared motion detector, high-decibel alarm and more! Installation of your wireless system will be handled professionally and will be scheduled at your convenience.